I mentioned earlier that I still wanted to show off my photography, but I am going to wrap up each month with my best photos of that month. 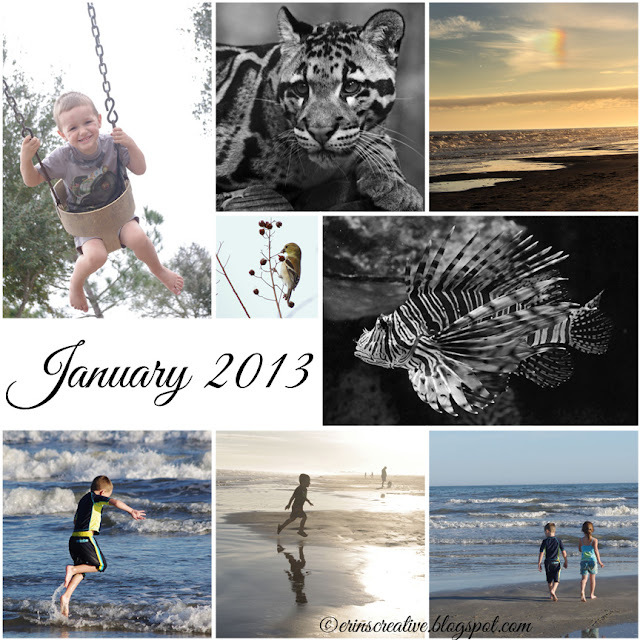 I hope you enjoy my January at a glimpse. You have some really nice images here! I especially love the beach shots. The bird and berries are great together, too - I like the colors/composition. The bird feeder!!! It is a precious and simple design and I can't wait to make one! We live out in the countryside of Alabama and I *adore* my backyard birds. I know they'll love this!